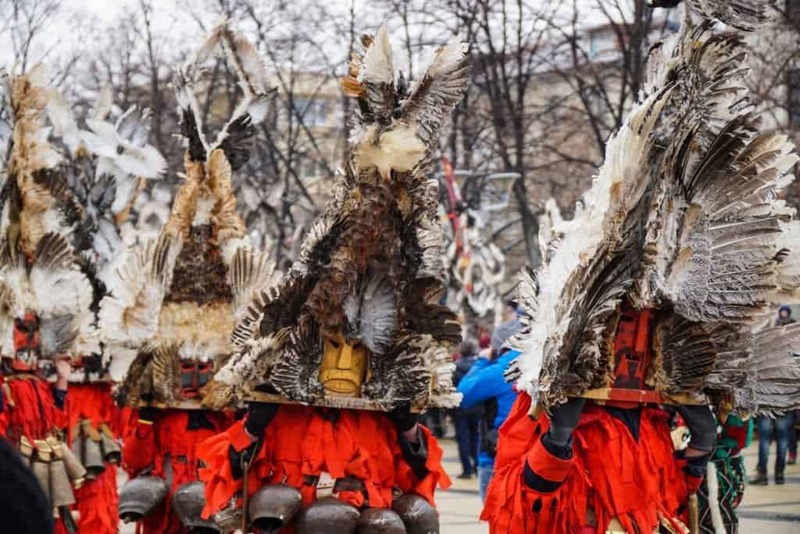 Every year, the Kukeri descend upon Pernik, Bulgaria, to take part in the annual Surva Festival of Masquerade Games. 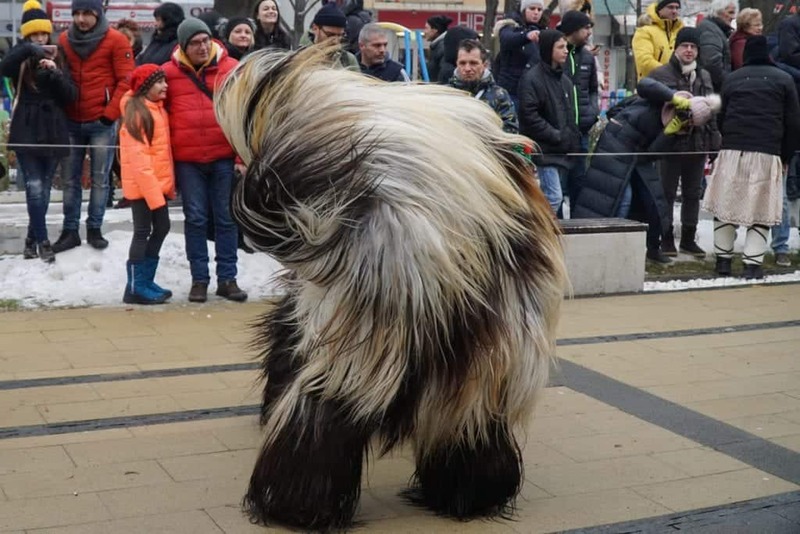 The photographs of the Kukeri have inspired my Bulgaria travel dreams for years. 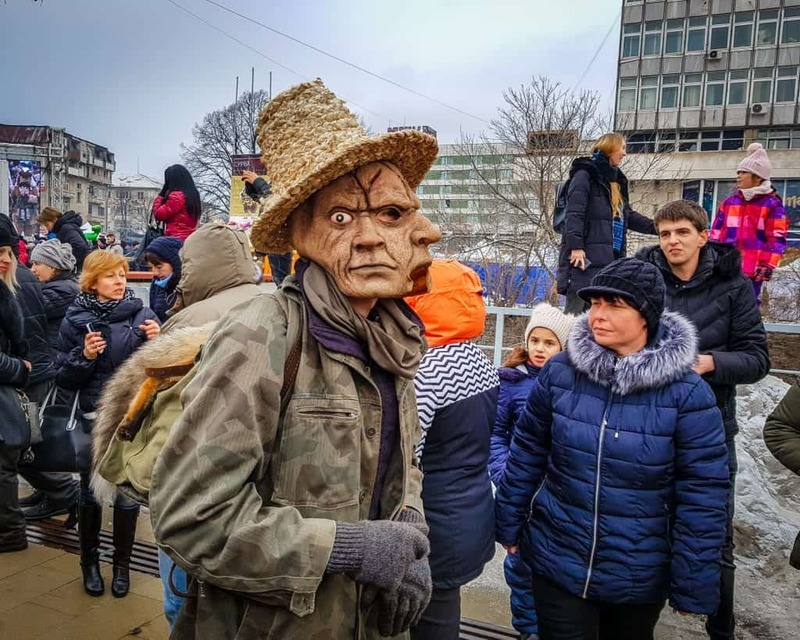 I’ve never been able to shake the images of these men and women dressed up to look like monsters and dancing for protection. This year was my first time attending Surva. 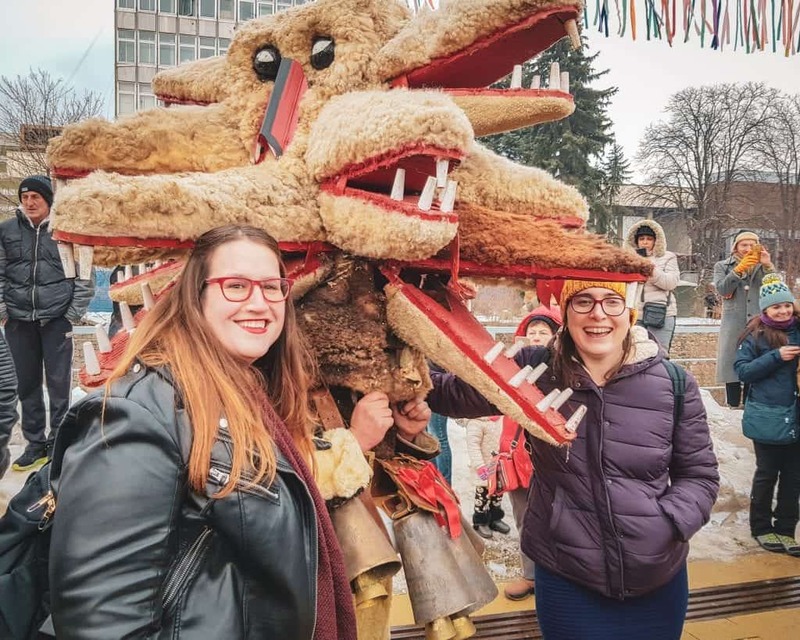 Allison and I, along with our boyfriends, headed from Sofia to Pernik to attend this year’s festival. It was a raucous event, equal parts thrilling and cold. 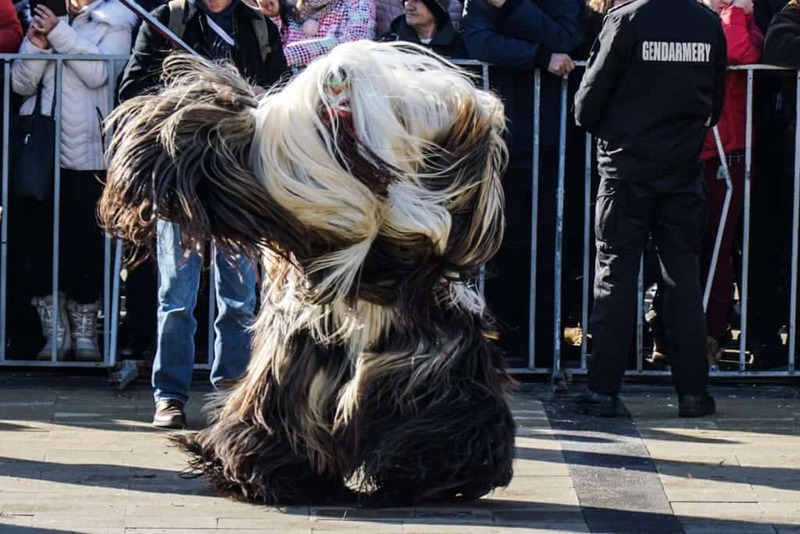 Here are our favorite photos of the Kukeri from the festival. 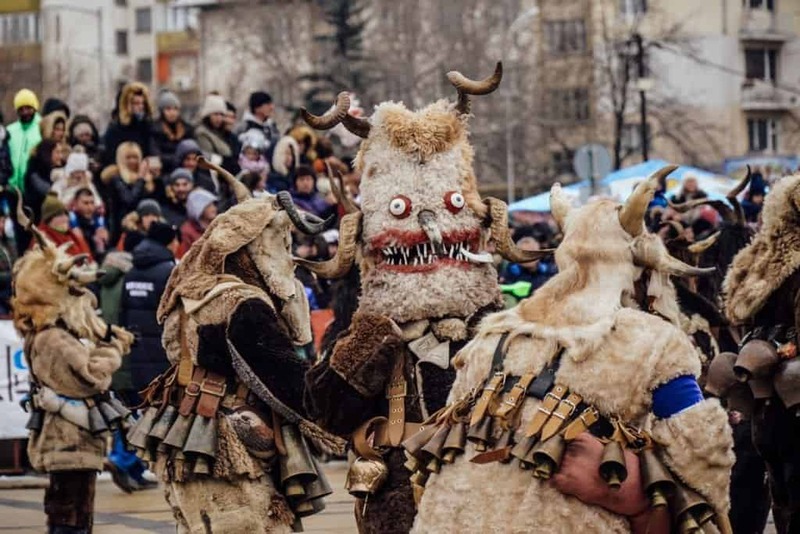 Each Kuker creates a costume from rag, bones, and other items, pieced together to look as scary as possible. Over this, they generally wear bells and other items designed to make loud noises. 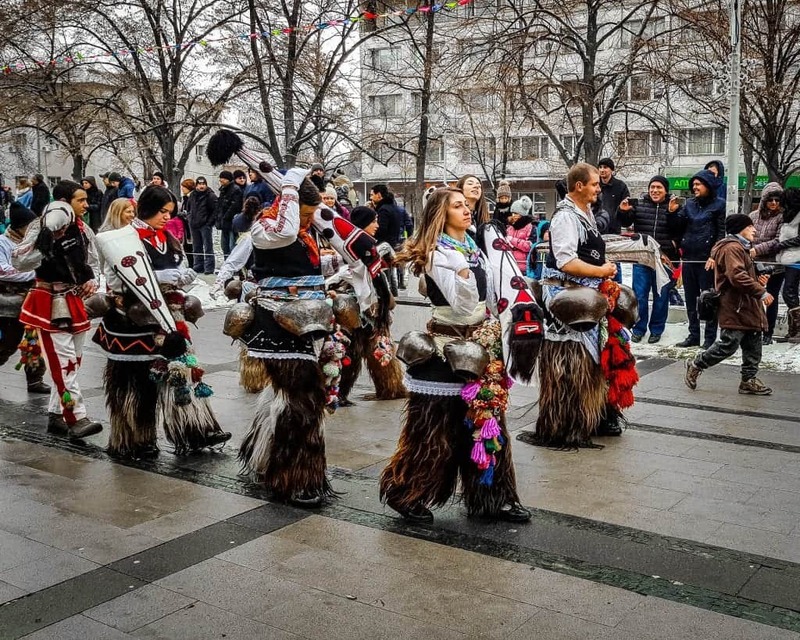 The groups of Kukeri come together to dance, making as much noise as possible. The goal is to protect their village from evil spirits. Elements of these costumes are handed down from generation to generation, especially the bells. 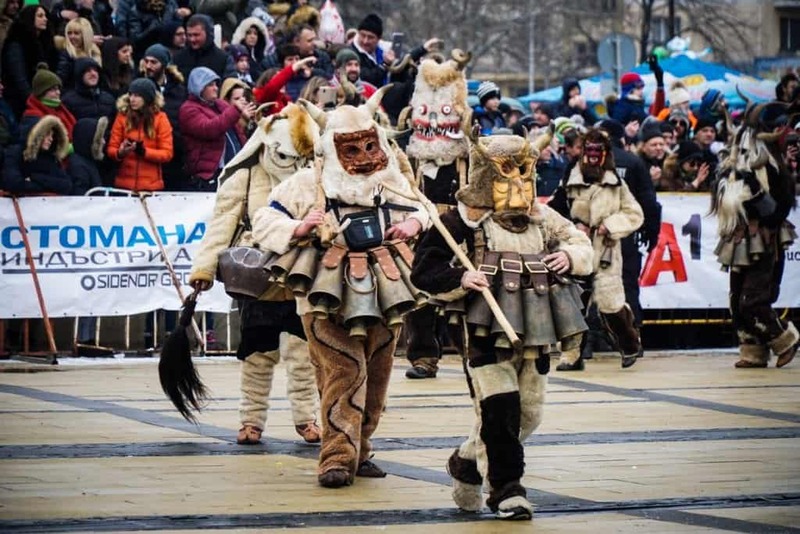 Looking at the Kukeri costumes, you can tell some of these bells have been protecting Bulgaria for nearly a century. 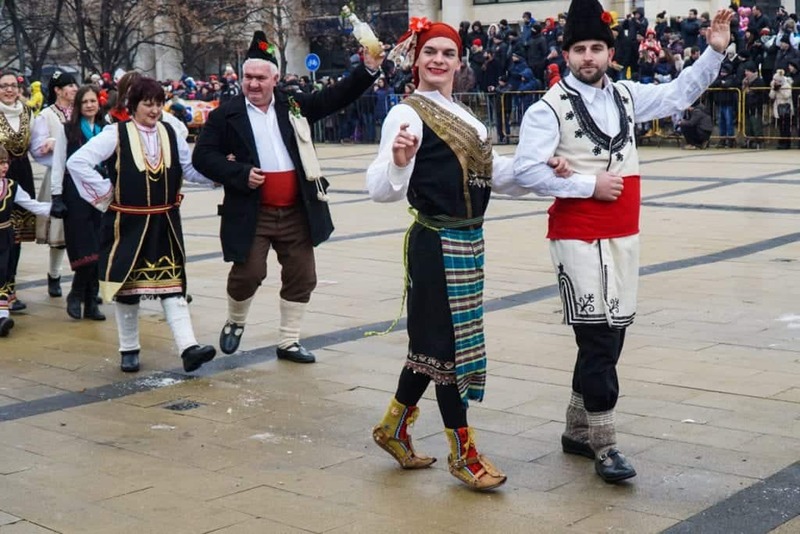 You can find very similar traditions from Greece to Romania. 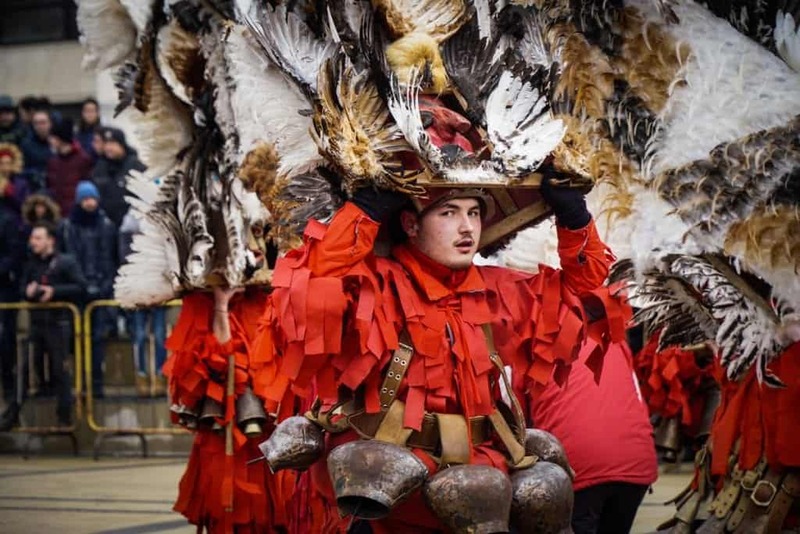 While the names and costumes change, the basic idea is the same: there is something that the village can do to protects itself from harm during the long, cold winter. 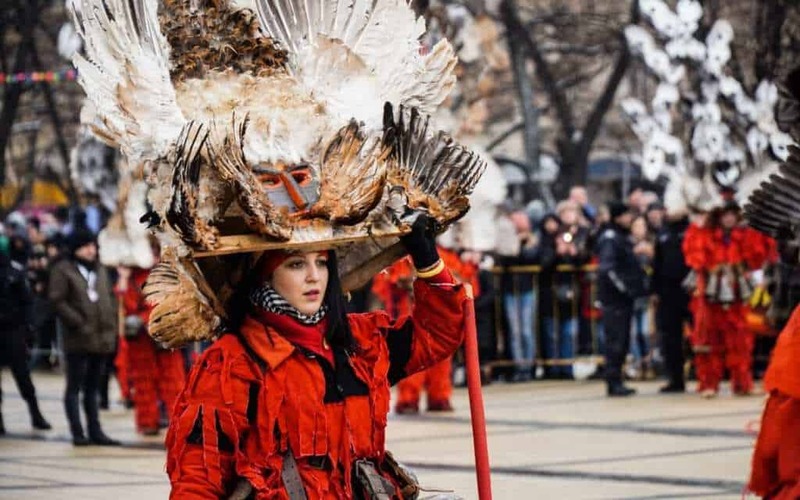 The Surva Festival of Masquerade Games is the largest Kukeri festival, and it accepts international participants as well as Bulgarian troops. 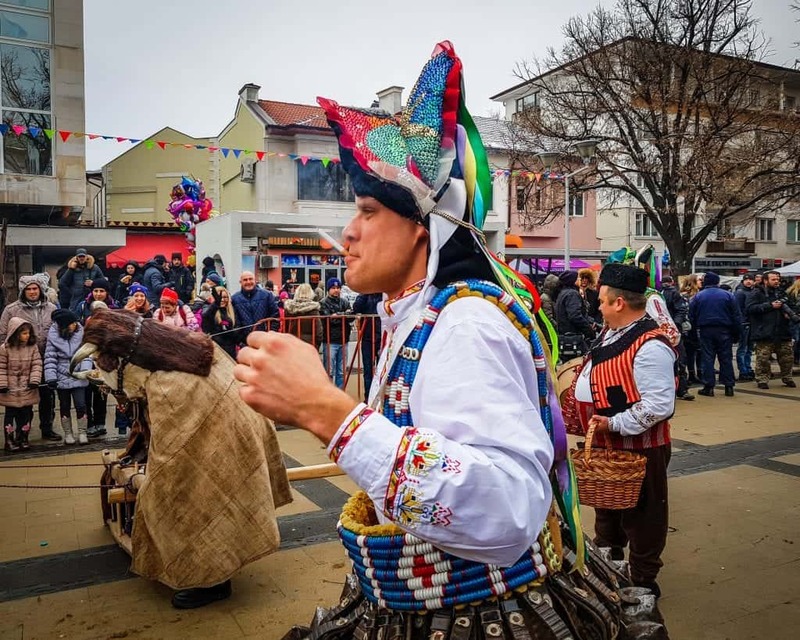 However, it’s not the only festival, and the performances still take place in Bulgarian villages in the evenings leading up to Surva. 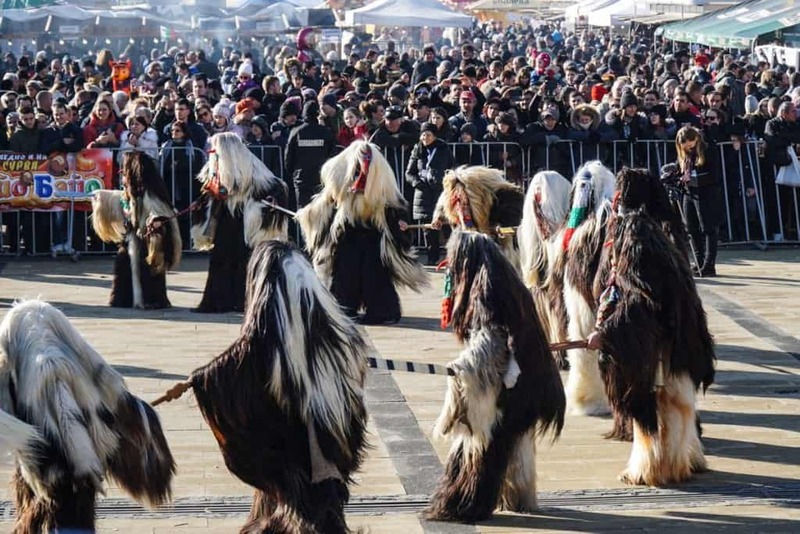 If you can’t make it to Surva, other Kukeri festivals include those in Razlog, Karlovo, and Yabol. 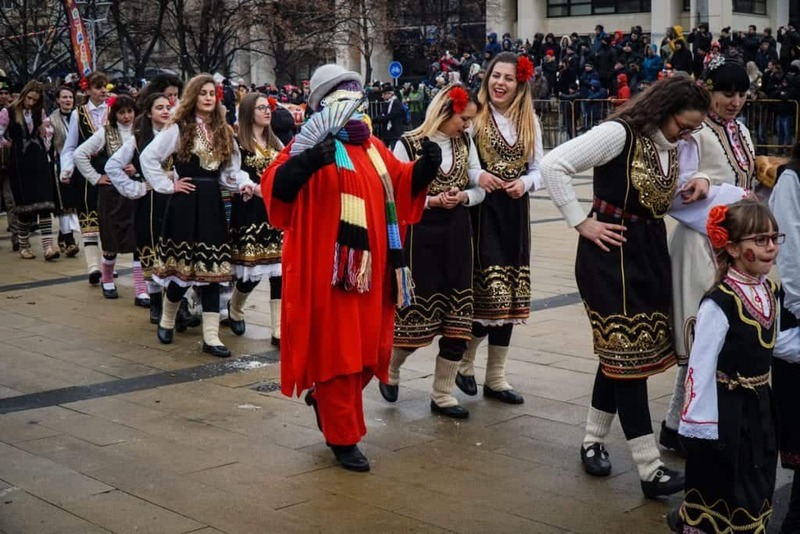 Once upon a time, Bulgaria was called Thrace, and the ancient Thracians practiced similar traditions to their ancient Greek neighbors. 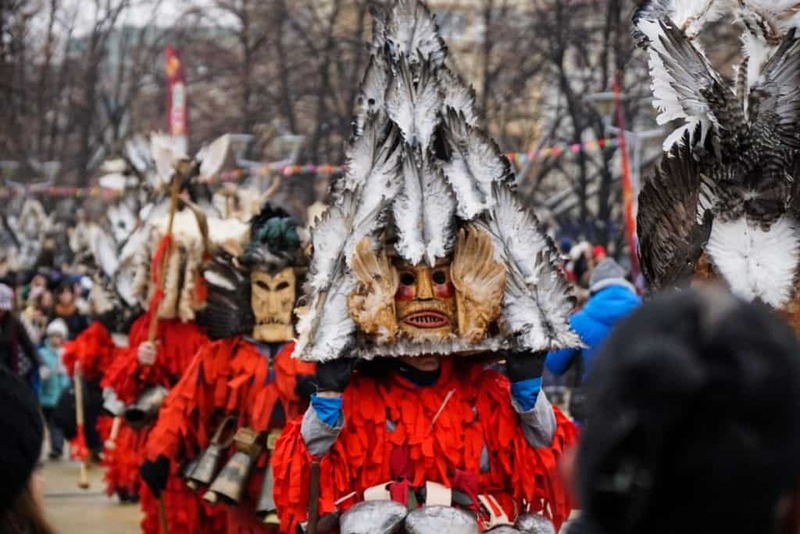 The Kukeri tradition is thought to date back to this time, when it was a ritual done in the name of the god Dionysus. Beyond protection from evil, the Kukeri bring good luck, good harvests, and increased fertility to their villiages. For rural villiagers dependant on agriculture and animal husbandry, this extra bit of luck offers a much needed boost of energy and enthusiasm to prepare for the tough year ahead. Like many ancient institutions, women are refusing to be left behind. 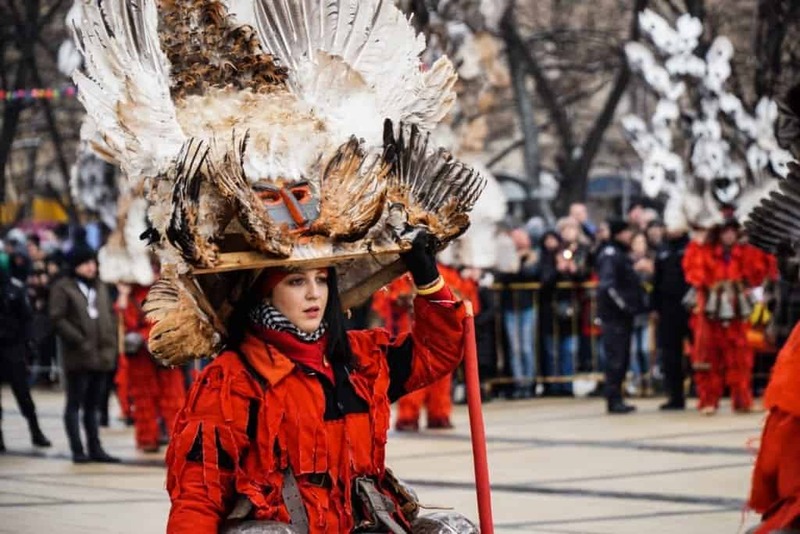 While the tradition was one that was the sole province of men, now women take their place as kukeri complete with their own fantastic costumes. …The masquerade experience appeals to young people and raises their self-esteem as continuers of the tradition. Whole families engage in collecting materials for the masks and the other attributes during that entire year, with adults teaching young people and children how to make the distinctive masks and costumes. The fertility theme continues with men dressed up as brides and grooms performing mock marriage ceremonies. 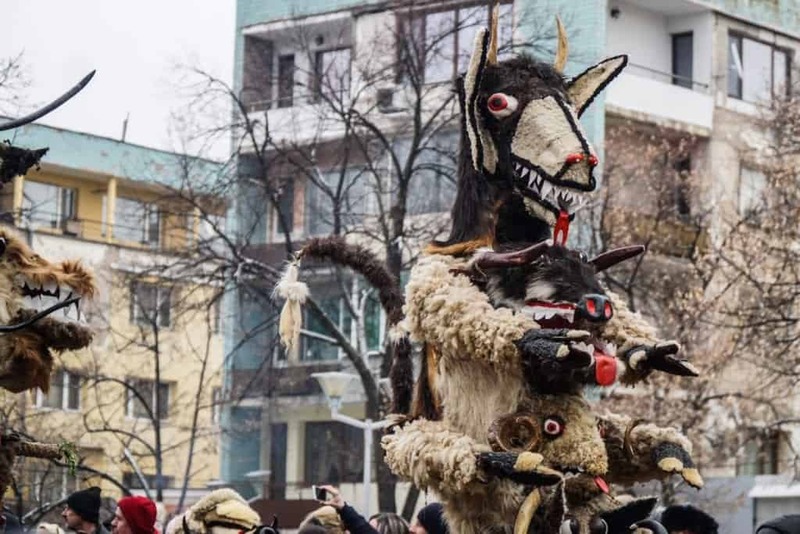 The Dionysion cults that created Surva and Kukeri traditions are the same ones that morphed into Carnivale in western Europe. 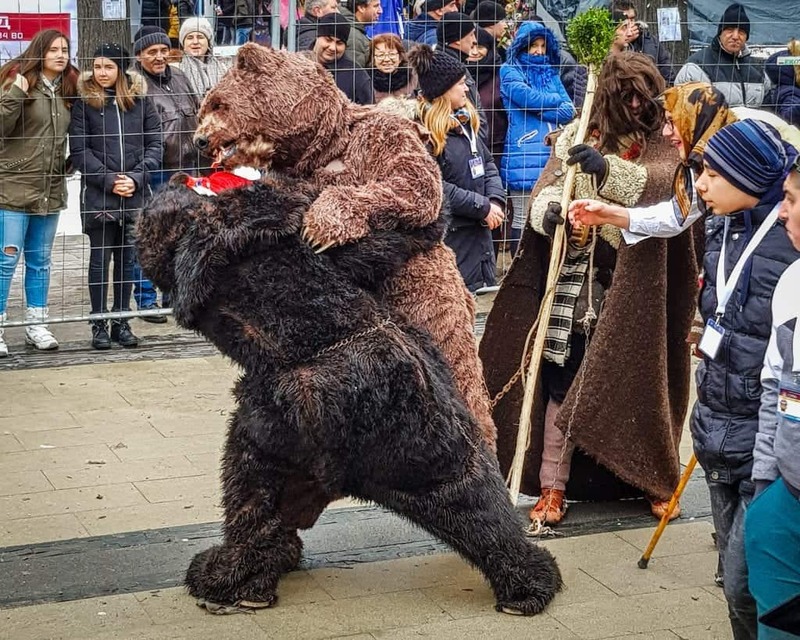 Taking place during the time between New Year’s and Lent, these pagan traditions have taken on elements of Christianity to stay alive, but they are still going strong even in the face of decades of Communism and secular modernity. 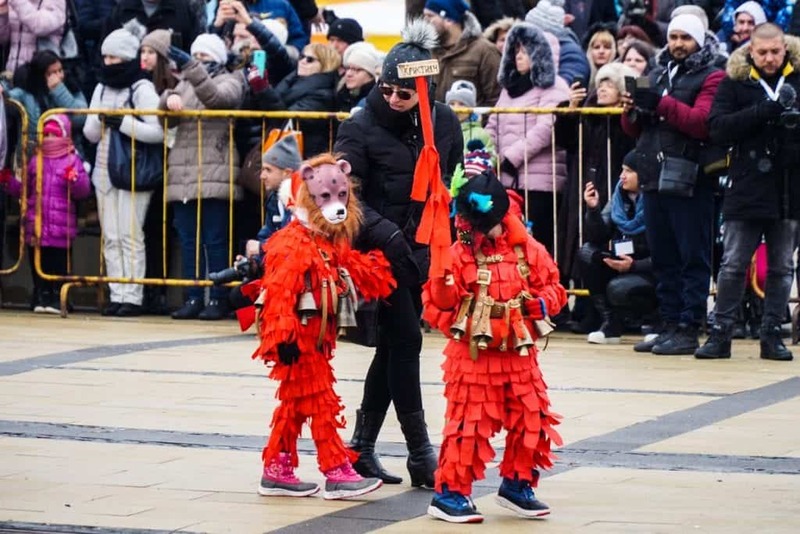 Living in Philadelphia for ten years, the Mummer’s Day Parade on New Year’s Day was a highlight of life in the city. 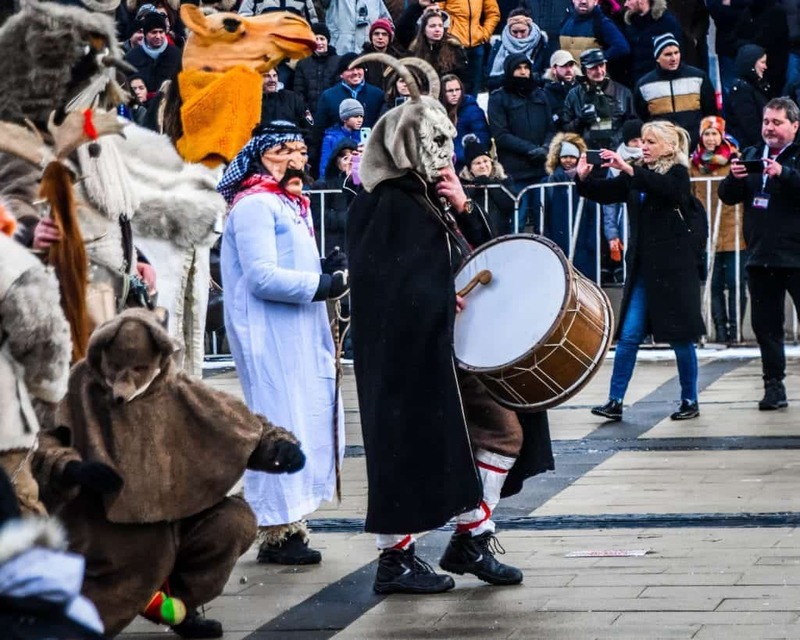 The tradition of the Kukeri is similar to the way that the traditional Irish, English, and some modern-day Americans celebrate Mumming and Mummers. 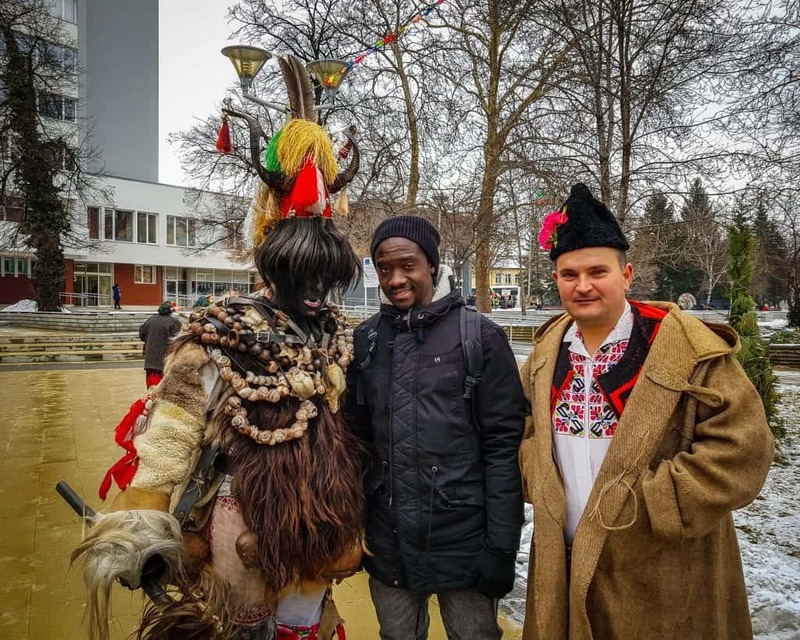 Here are few more of my favorite pictures from the festival with Kukeri dancers. 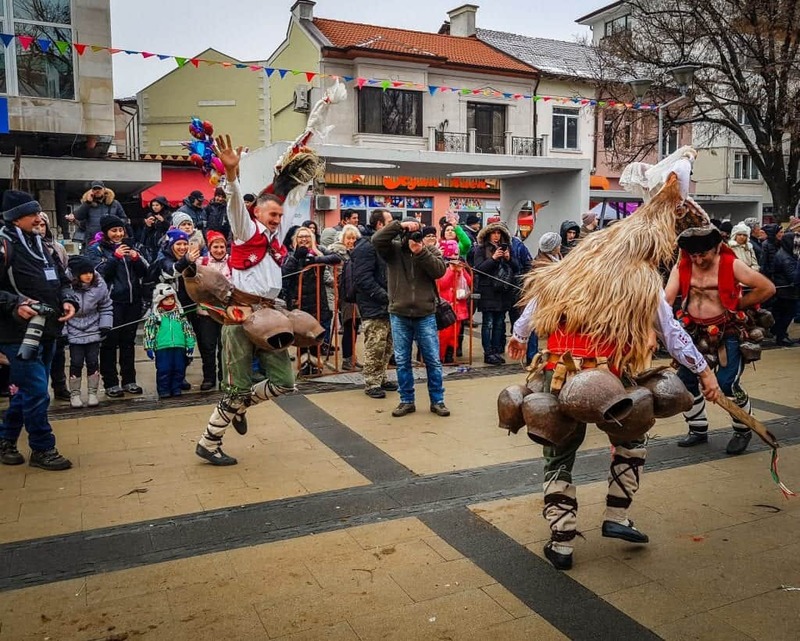 If you’re headed to Pernik for Surva, you’ll want to make sure your accommodations are booked ahead of time, as they can sell out months in advance. You’ll also want your Sofia accommodations planned if you intend to stay in the city before or after your trip to Pernik. Budget: A room in a hostel, usually $5-12 USD per night for a dorm bed or under $40 for a double. If you’re planning on spending time in Sofia before or after you head to Pernik, here are our hotel recommendations depending on your budget. If you’re looking for more options, check our Sofia Hotel Guide. Budget: For a hostel, we always recommend Hostel Mostel. I have never stayed at the Sofia location but several of my friends have and have always spoken highly of it. I stayed at the one in Veliko Tarnovo and it was excellent. Perks include a free vegetarian dinner in addition to breakfast included in your stay! Check rates and availability here. If you are traveling in peak season, be sure to book online, as Hostel Mostel is popular and tends to get booked up. Mid-range: For a trendy new boutique hotel that is shockingly affordable, we recommend R34 Boutique Hotel. The location is fantastic, near the Ivan Vazov National Theater in central Sofia. It has gorgeous, loft-inspired details like exposed brick, giant windows, and streamlined but modern décor. It’s a great bargain, too – check rates, reviews, photos, and availability here. Luxury: As far as we see it, there’s only one option for the best hotel in town: Sense Hotel. We go to their upscale, beautiful rooftop bar all the time when we have guests in town – it has one of the best views in the entire city and they make fantastic cocktails. With beautiful views over Alexander Nevsky, Sofia’s most iconic landmark, the hotel couldn’t be in a better location. Sense Hotel also boasts a state-of-the-art fitness center, an art gallery in the lobby, an excellent spa with luxe treatments, and an indoor pool. It’s truly the best choice in town. Check rates, reviews, photos, and availability here. 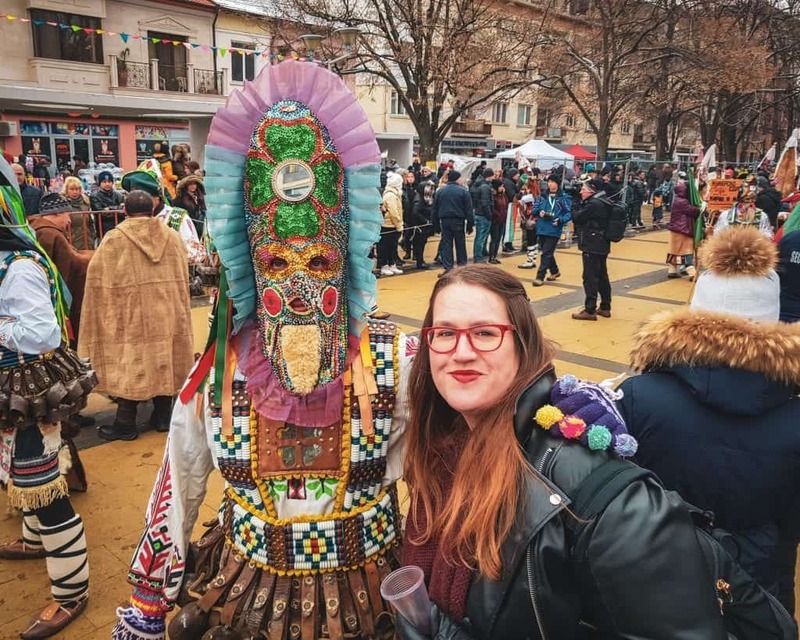 If you will be going to Pernik for Surva, many people choose to stay based in Sofia and make the trip back and forth each day, since Pernik is a small town without many hotel options. However, if you want to be able to stay directly in town for the festival (or any other time of year), then these are the best options. Note that we are listing the normal prices, but they may raise their prices for the festival. There are only two traditional hotels in Pernik, and they are both priced about the same. 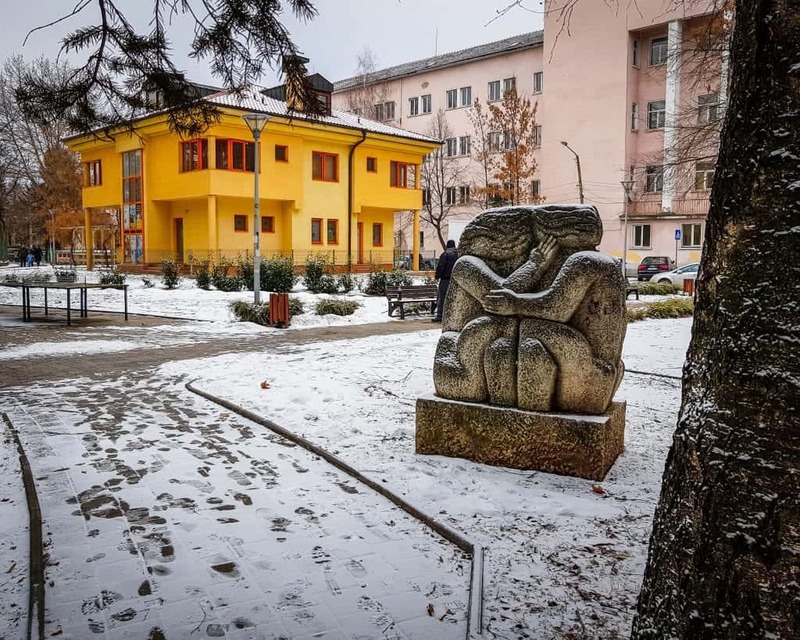 Option 1: There are no traditional hostels in Pernik, but the city’s Hotel Elit is the best of the two budget options in the city. There is a restaurant, laundry service, and a sauna at the hotel, and it also has complimentary wifi. Check rates, reviews, photos, and availability here. Option 2: The second option is the Struma Hotel, which is a ten-minute walk from the bus station. They have free wifi and parking, and there are a restaurant and massage room on site. Check rates, reviews, photos, and availability here. 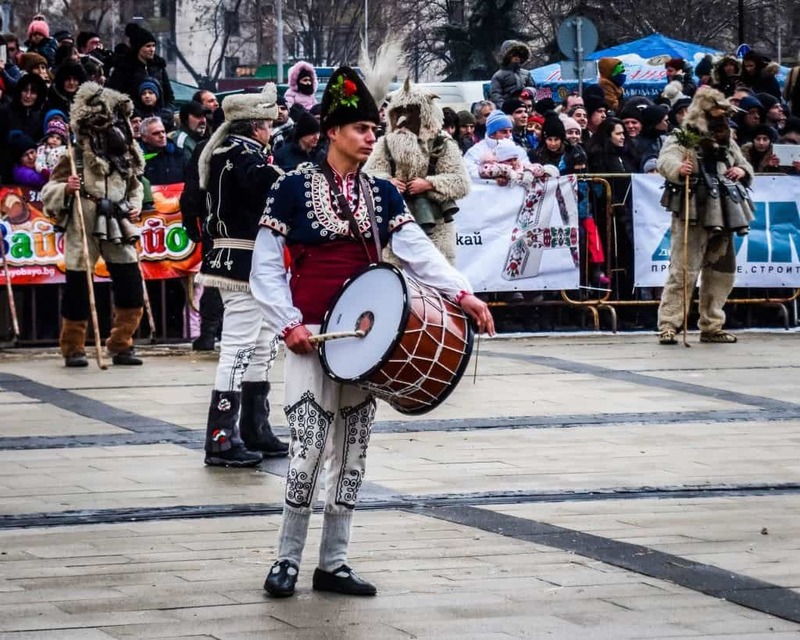 If this is your first trip to Bulgaria, read up on our Bulgaria trip planning checklist. You may also want to brush up on our guides to the Sofia Airport and Sofia taxis, which will help you plan the logistics of your trip. If you intend on spending some time in the capital before or after your trip, we have guides for things to do in Sofia and a separate post for how to enjoy your trip to Sofia in winter, along with our Sofia restaurant and bar guides. Make sure you have travel insurance before you come to Bulgaria. This part of the world is safe, and we absolutely love traveling here! But things happen on the road, and having travel insurance keeps incidents from ruining your trip. Recently my aunt fell on a train in France and needed surgery, but luckily her travel insurance covered the costs in full. Thank goodness! I love such cultural events and I haven’t heard about this one before. Didn’t even know there are festivals that can win Unesco, amazing! 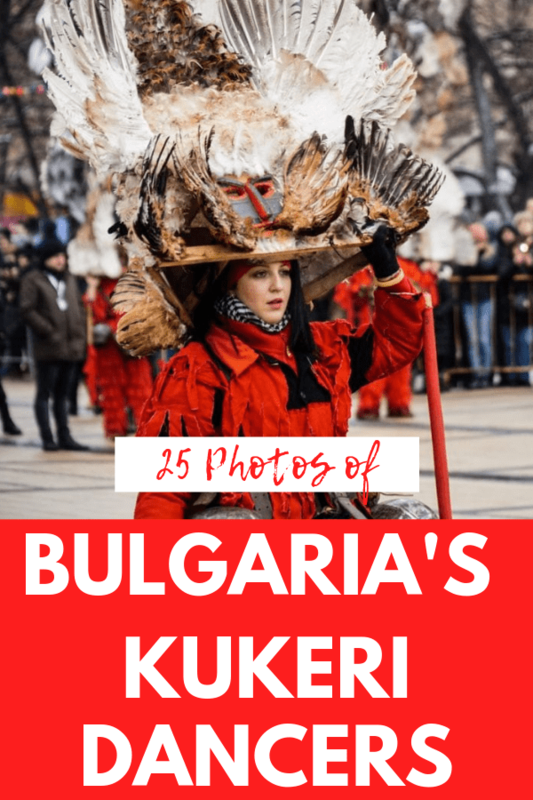 Thanks so much for making it so easy to plan a trip to Bulgaria during the festival – all the details and everything, not to mention – great photography! You’re welcome Maya! 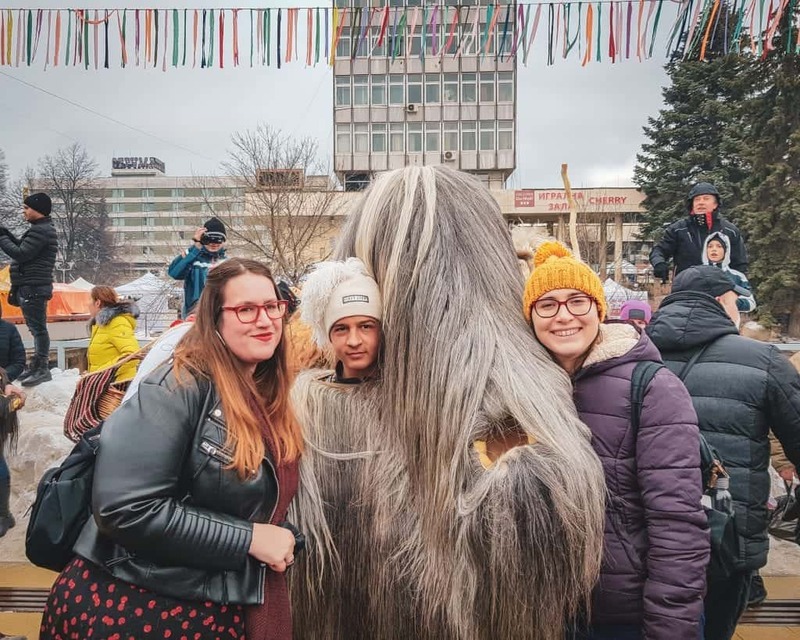 We loved Surva so much, it was one of our favorite events in Bulgaria for sure! 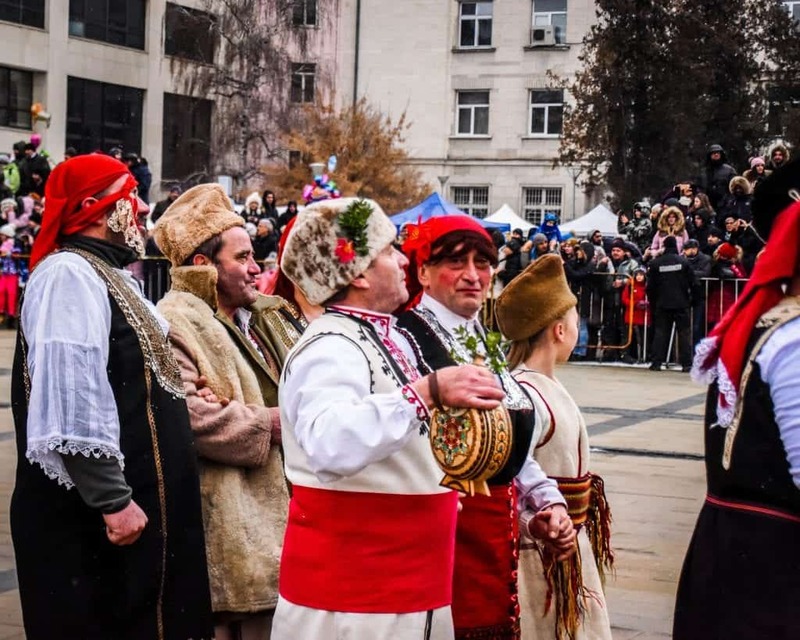 There is a special designation of UNESCO called “intangible cultural heritage” which is super interesting – it covers art forms, festivals, and other cultural practices that are distinct to a certain region! 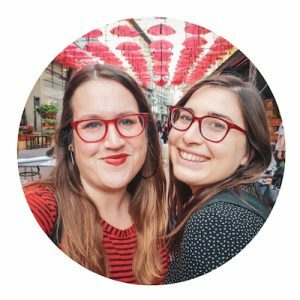 Thank you so much for our kind words about our blog and photos, hope you enjoy a trip to Bulgaria soon! This has been on my travel list since it made it on the Unesco list (that’s how I heard about it)! It looks like a great experience. Your pictures are awesome! It was great! I’m very excited to go back next year!